1Preheat the oven to 325°F. Line two 8"x4" loaf pans, line them with foil, then butter the foil. Cream the butter, add the brown sugar and orange or lemon zest and beat until light. Add the eggs and beat well, then beat in the molasses. Mix together the flour, baking soda, cinnamon, allspice, nutmeg, cloves, and salt; add half and beat just until blended. Add the milk and beat until smooth, then beat in the rest of the flour just until combined. Stir in the candied fruit, citron, raisins, and pecans with a spatula. 2Spoon into the pans, smooth the tops and bake for 1 to 1 1/4 hours, or until the top is springy to the touch. Let sit for about 10 minutes, then turn out of their pans onto wire racks to cool. When completely cool, wrap well and store in an airtight container. 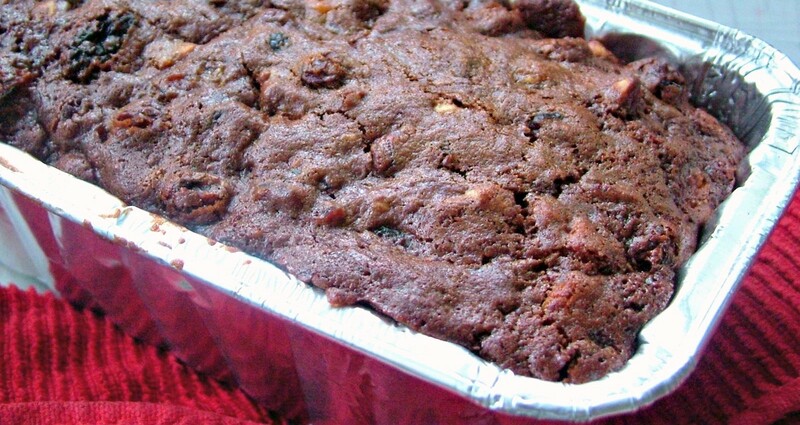 3Brandied Fruit Cake: Soak two large pieces of cheesecloth in brandy. Wrap each fruit cake in the cheesecloth, covering all sides, then wrap well in foil. Moisten the cheesecloth with additional brandy every few days for about a week. The brandy will flavor the cake and help preserve it too.